In June 2016, after nine years of construction, the expanded Panama Canal welcomed its first post-Panamax ship, the Baroque Valletta, through its wider locks and deeper navigation channels. 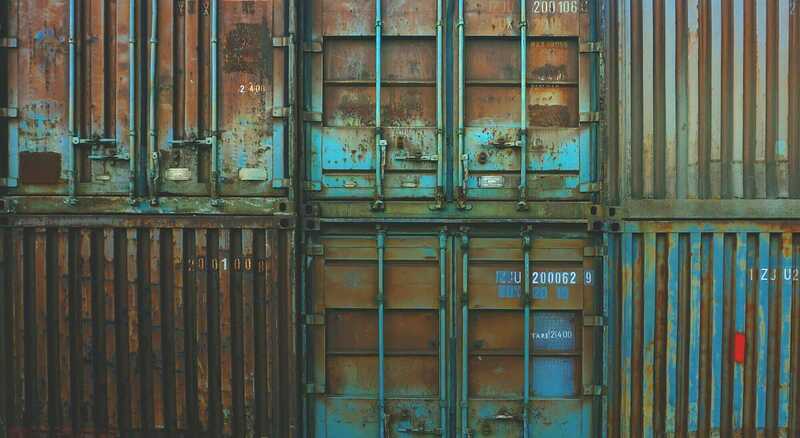 With the capacity to accommodate larger ships carrying more cargo, the new locks are redrawing world trade routes and prompting ports and shipping infrastructure upgrades in US cities from New York to New Orleans. New and planned upgrade projects range from massive bridge raisings in Bayonne, New Jersey and Long Beach, California to port-rail projects in New Orleans and Beaumont, Texas. To bolster these efforts, the American Association of Port Authorities (AAPA) is urging the Trump administration to increase investment in aging seaports—in part to make room for the new ships and increased cargo, says Aaron Ellis, public affairs director for the AAPA. The largest of the vessels are 1,200 feet long with a draft depth of 50 feet, and can carry up to 13,000 twenty-foot equivalent unit (TEU) containers—three times the capacity of their predecessors. In its 2016–2020 Port Planned Infrastructure Investment Survey, the AAPA estimates $155 billion in spending on port-related freight and passenger infrastructure over the next five years, which represents a more than threefold increase over the $46 billion figure from the 2012–2016 survey. The biggest project investments are in ports along the Gulf Coast, which is emerging as a key distribution and logistics hub for exporters of liquefied natural gas and plastic resins. It’s also where many new energy processing, production, and transfer facilities are being built. “The Gulf Coast is a bit of a bonanza, and consequently cities are doing what they can to invite port calls,” Ellis says. Port of New Orleans. Courtesy Port of New Orleans. In New Orleans, port-rail connections are a big piece of the solution. “Trains have the advantage of giving you one system to move a lot of cargo to more than 30 states and into Canada,” says Robert Landry, vice president of the Port of New Orleans’ commercial division. “Rail service from the port serves the needs of many in the shipping community. A new on-terminal intermodal container facility, adjacent to a 12-acre railyard at the Napoleon Avenue Container Terminal, is projected to boost the port’s annual capacity by 200,000 TEUs to a total 840,000 TEUs. It currently provides service for the Canadian National Railway, and another train line will be added soon. New Orleans is unique as a US city: Six class-one railroads have routes there. With a mean low-water draft of 45 feet, the Mississippi River harbor can handle the draft depth of the post-Panamax ships and provide a cargo portal to destinations across the country. The port also plans to add new and larger cranes. This would decrease dock times (currently averaging seven days), making the port more attractive to shipping carriers. 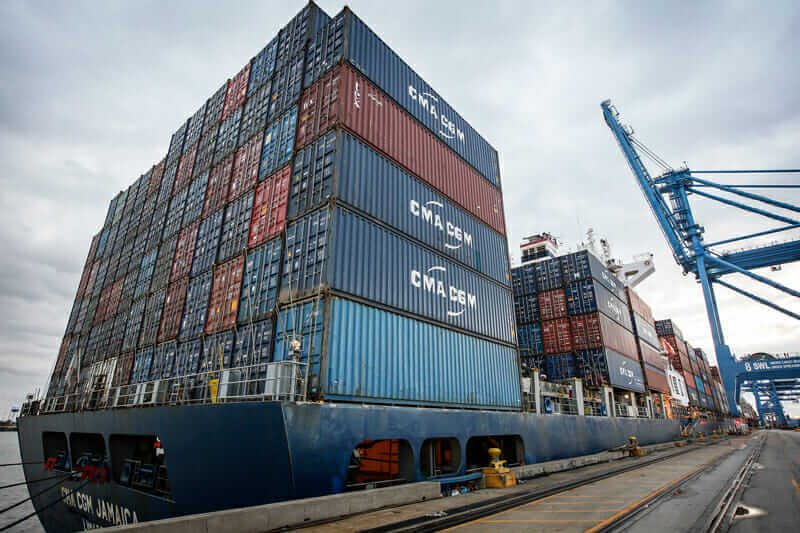 Another improvement is a new container-on-barge cargo route from New Orleans to Baton Rouge to expedite regional exports of plastic resins, oil, and grains. While cities such as New Orleans, Corpus Christi, Tampa, and Houston are seeing some of the biggest impacts of the Panama Canal expansion, the ripple effect is felt far beyond the Gulf Coast. The Port of New York and New Jersey awarded a $743 million contract to Skanska Koch, Inc./Kiewit Infrastructure Co. (JV) team as part of a $1.3 billion bridge construction project to raise the bridge deck by 64 feet, creating a 215-foot clearance above the main shipping channel. 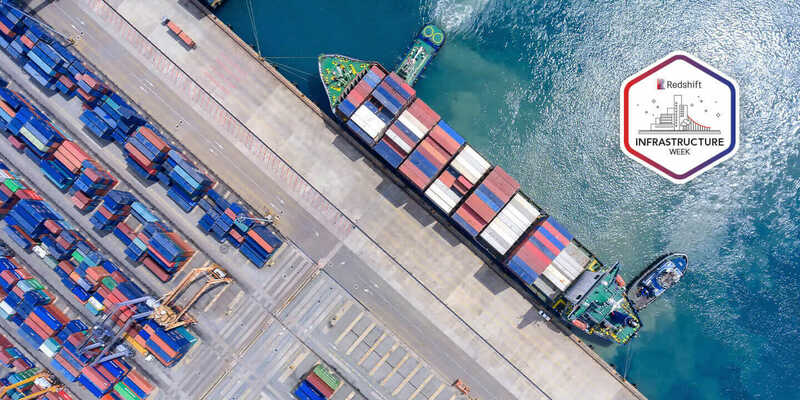 The project, coupled with a $2.1 billion dredging project to deepen its main navigation channels, will allow deep draft post-Panamax ships to access key port terminals in New York and New Jersey. Port cities along the West Coast—many of which already benefit from deep harbors and an expansive railroad superstructure—are also feeling the effects of the Panama Canal expansion. Dirk Epperson, a manager of engineering and construction for the San Diego Unified Port District, says the port recently completed a structural overhaul of its 135-acre National City Marine Terminal at the south end of San Diego Bay, the port of entry for one out of every ten foreign cars imported to the U.S. Port of San Diego. Courtesy San Diego Unified Port District. In preparing for new cargo and larger ships, the port has also added plug-in charging stations to their B Street Cruise Ship Terminal. 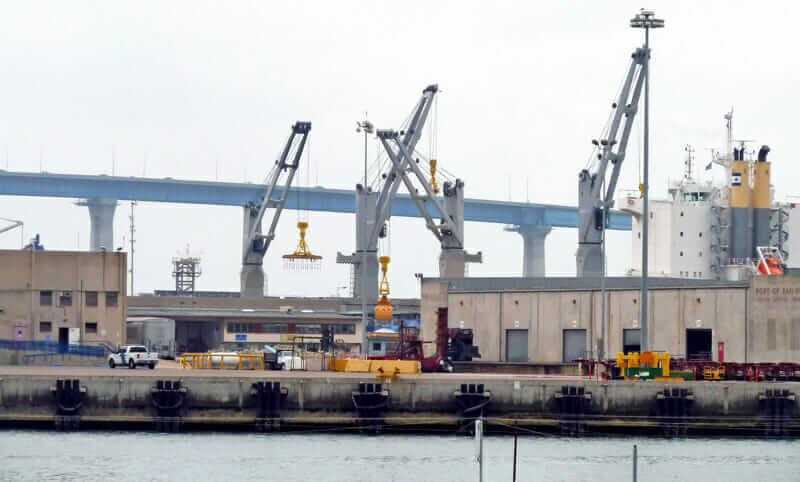 And, with partial funding from a $9.5 million Transportation Investment Generating Economic Recovery (TIGER) grant, San Diego is nearing completion of the design phase of a $24 million modernization plan for its Tenth Avenue Marine Terminal. The facility includes more space for refrigerated containers (the port is a key export route for Dole) and large irregular break-bulk items, like 100-foot-long blades for electric generation windmills.